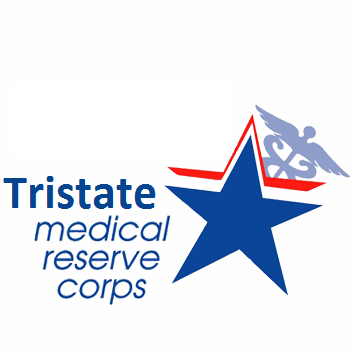 The Medical Reserve Corps (MRC) is a national network of volunteers, organized locally to improve the health and safety of their communities. The MRC Unit of Clermont County is recruiting medical and public health professionals, as well as other community members without healthcare backgrounds to supplement existing local emergency and public health resources during a public health emergency. Volunteers prepare for and respond to natural or man-made disasters, as well as other emergencies affecting public health, such as disease outbreaks. Occasionally volunteers contribute to community health activities that promote healthy behavior. The Clermont County MRC Volunteers will primary help distribute antibiotics or vaccine during a health emergency requiring mass prophylaxis of residents of Clermont County. Clermont County MRC volunteers may be called upon to fulfill any of several functions such as medical evaluation, patient education, screening/triage, flow monitoring, vaccination, or distribution of medication. MRC Volunteers may also be called upon to assist with mass sheltering operations, such as during a flood, Tornado etc. Every effort will be made to match the emergency roles of volunteers with their professional skills and licensure. The Clermont County MRC provides all volunteers with medication or vaccine to protect themselves and their family members. Clermont County Public Health is striving to improve Clermont County by preventing disease, promoting health, and protecting the environment. Please Contact Us if you have additional questions about Clermont County MRC Unit.